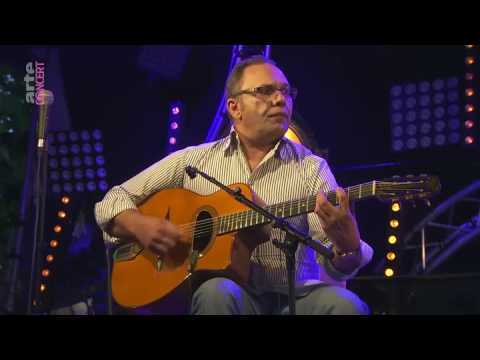 Bireli Lagrene – Gypsy Jazz Guitar Artistry | BlogAn in-depth analysis of Bireli's style! Note/tab. 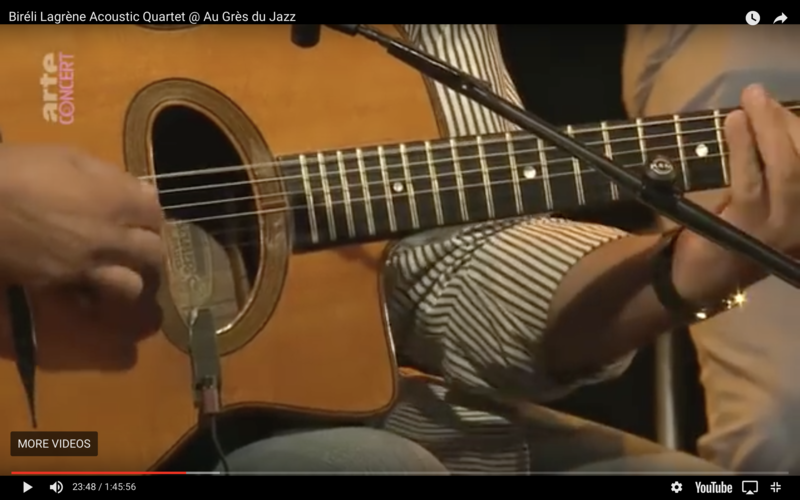 Bireli's guitar at concert "au Gres du Jazz"? Couple of good shots of both the soundhole and headstock but the label and logo have too much light reflection and couldn't make anything out of it. I didn't watch the whole thing though. Aren't Sel-Macs the hardest guitars in the world to identify? Here is a clear pic from 23:48. I think that says "SELMER". Michael, do you know what scale length the new neck is? I'm assuming they wanted to keep the bridge in about the same place relative to the pliage? @Bones I don’t know the scale legnth but by the looks of it I’d say 660mm. You could probably figure it out by comparing with images of various Selmers. Frankenselmer! It sounds great. Was that a tenor or 6-string originally? @"Wim Glenn" sorry....I don’t know what it’s original string configuration was. I just heard from another, more reliable source, that this was actually originally a petite bouche Selmer that had been damaged and then was retopped with a D hole in Argentina. Eitherway, it's certainly had quite a life, even finding its way into Bireli's hands! and no zero fret! now the interesting question is on the sound of Selmers...has this guitar a typical Selmer sound? only partially I think, can we say that the part of Selmer sound that remains comes from original back and sides as all the rest has been changed (neck, table, etc. )?